Today we visited Herculaneum and hiked to the top of Mt. Vesuvius with Madison and Aunt Donna. Will be posting about that soon! 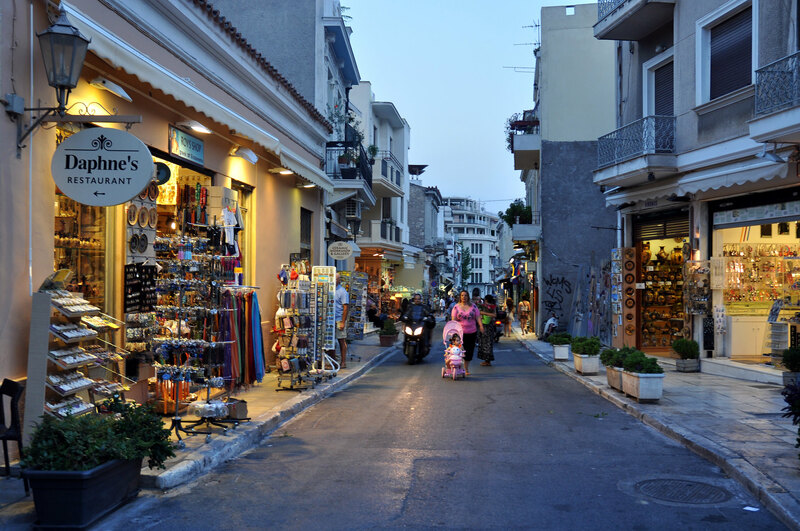 On Friday, my Dad and I headed to the airport fairly early to catch a flight to Athens. It’s only about 1.5 hour in the air. Once in Athens, we made our way to the Metro. I had the foresight to pack light for this little excursion. We got off the Metro near the Acropolis and had to search for our hotel, “The Acropolis View Hotel.” It was on Webster Street. All of the other streets were impossible to pronounce. I wonder why they decided to name that one Webster. The street sign was also nearly impossible to discern, and I was not entirely happy about dragging my carry-on suitcase around in the mid-day Athens heat. Oh well. I didn’t think it was possible, but Athens was hotter than Italy. The forecast said it was only supposed to be around 95 degrees, but I swear it was in the 100s. I was melting the second we set foot outside. 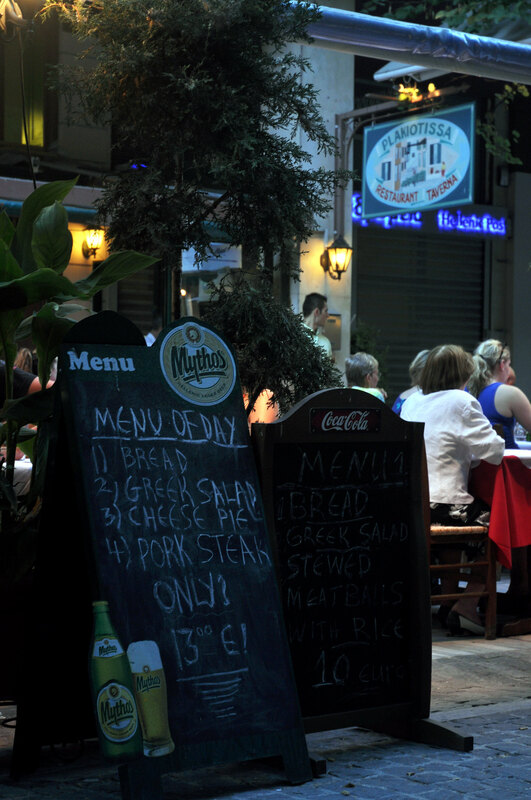 And if you’ve ever been to Europe, you know that it’s rare to find a public area with air conditioner. If you haven’t ever been to Europe, let me just tell you – it’s rare to find a public area with air conditioner. We took a few minutes to unpack our things in the hotel and then immediately set out to explore. My Dad took me up Philopappos Hill to get a nice overview of the Acropolis. The Acropolis LOOMS on the horizon no matter where you go, but the hillside gets you far enough away so that you can see how big it actually is. 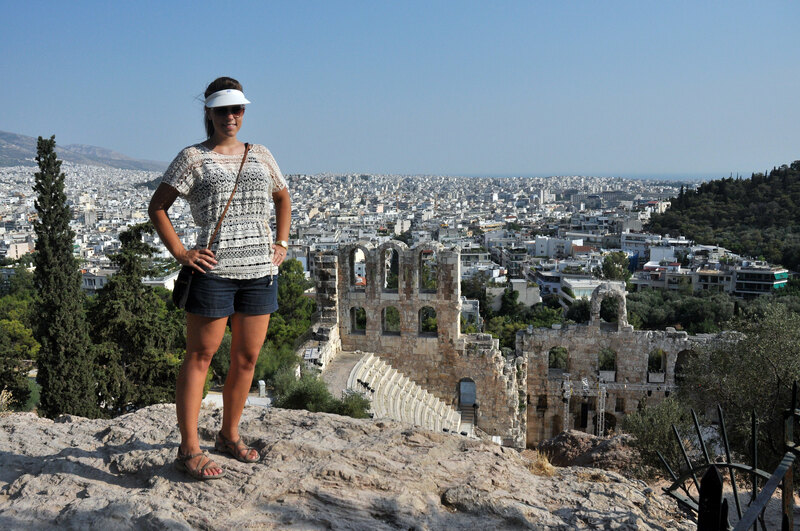 After we climbed back down, we decided to walk up to the Acropolis. The walk is pretty steep, and the cobblestones are very worn from years of tourists trekking up and down. I almost slipped a few times. I don’t know how the old and less agile make it. 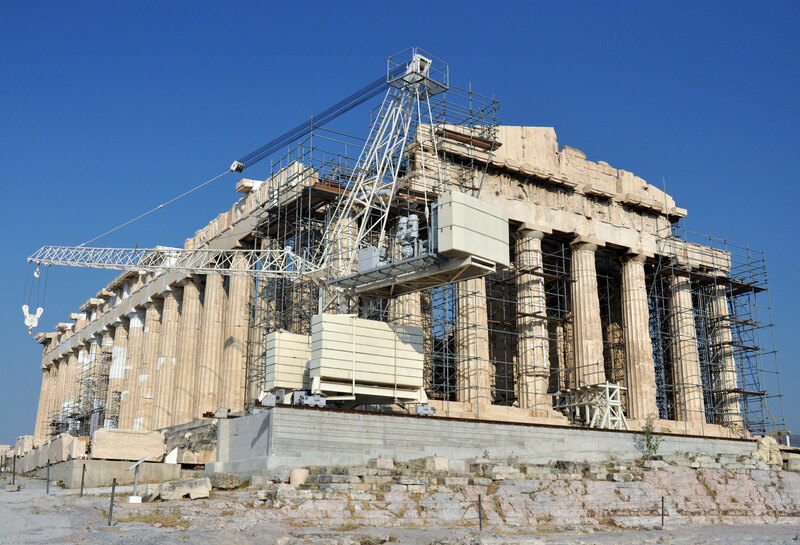 As is customary for many ancient tourist destinations in Europe, the Parthenon was obscured by scaffolding. 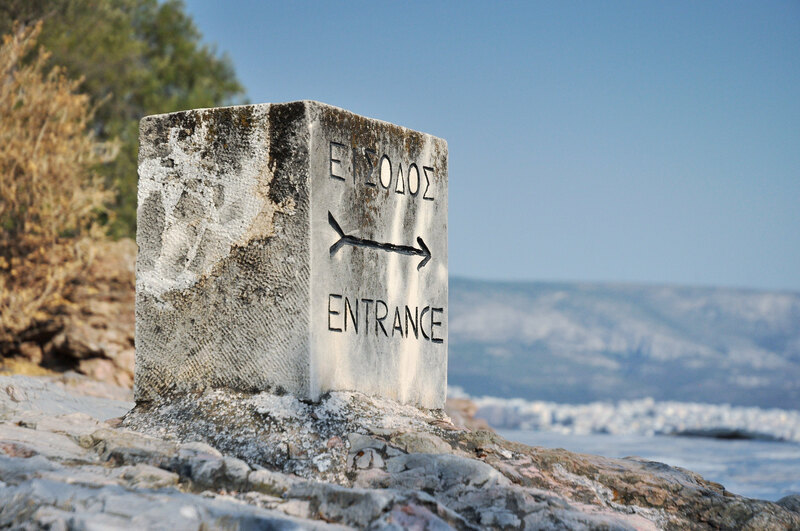 We stayed on top of the Acropolis until nearly sunset before deciding to walk down and find some traditional Greek cuisine for dinner. After dinner, we explored the market area for a little while. Tomorrow I’ll post days 2 & 3. Beautiful photos! What a fun time. 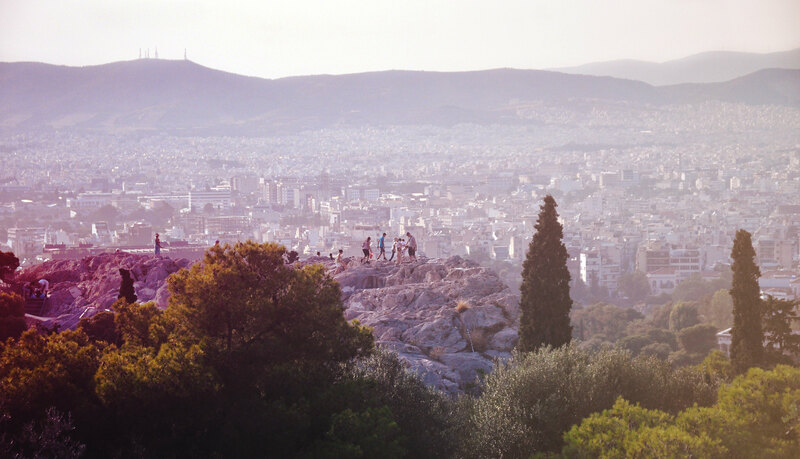 I would to visit Athens, Greece. I am so completley jealous girl! !